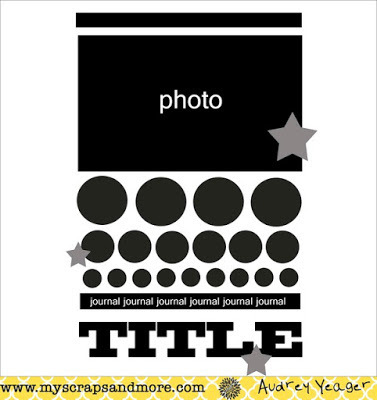 The end of August is approaching quickly and that means two things: finish scrapbook layouts for challenges and it*s almost time for festivals, yay! I live in a small community and all the nearby towns have celebrations throughout September and October, lots of fun. Anyway, back to the challenges. I participated in "My Scraps & More Sketches" challenge this month, my first time ever just to let you know. They have amazing sketches to work from and beautiful inspiration layouts. The sketch I used was #111 by Audrey Yeager. Ok, I don*t know if you are like me, but I have a tendency to be a perfectionist. The "p word" can be so maddening when you are working from a sketch especially when you are new to the process. 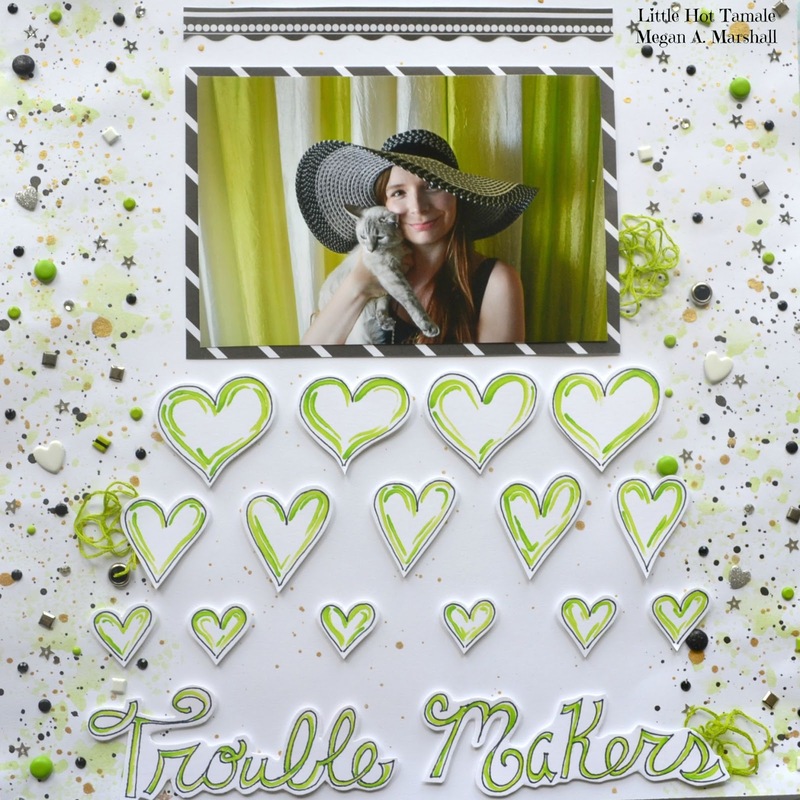 I had this overwhelming need to make my layout identical and it kind of took the fun out of scrapbooking. Once I used the sketch as a guide and putting my spin on it, I enjoyed the process 10-fold. :) Probably everyone already new that tidbit of knowledge, lol. Back to the layout. I wanted to use this cute pic of my kitty and I. Of course Pocoyo looks bored out of her mind, typical Pokey. My initial thought was to have doodles on each embellishment, all 15. Yeah... 15 is a lot of doodles. Then I wanted to use my butterfly punches, but I only had 2 sizes. Finally I was like forget it, I*m just going to make an artsy page with splatters and doodles for embellishments. It turned out cute, but the journaling gave me a little trouble, I ended up writing it on the back like I do for most of my layouts. The details... I doodled hearts that were relatively the same size for each row in a sharpie pen and outlined the inside with green acrylic paint. The title I free hand with the same technique. As for the outside columns I dabbed green water color, splattered black and gold color shine, added a variety of brads, star sequins, and gemstones. lol, pretty much anything I could get my hands on. I also used leftover green embroidery thread, divided it, and rolled it for the accents. Thank you so much for checking out my blog! Keep a lookout on my YouTube channel for a process video on this layout in the near future. At the moment I*m editing a pen pal letter tutorial. 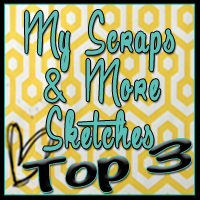 Don*t forget to checkout My Scraps & More Sketches blog for fun sketch challenges every month.